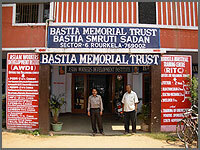 The Bastia Memorial Trust was established by the workers of Rourkela Steel Plant in memory of the trade union leader, Dhuliswar Bastia (1923-1966), who was a pioneer in establishing the Rourkela Mazdoor Sabha. A unique feature of this organization is that by the small donations of the workers and with the initiative of Rourkela Mazdoor Sabha a large educational complex has grown up. It embodies a working class perspective in the purest of knowledge and participatory culture. The office is located at Bastia Smruti Sadan, Sector-6, Rourkela-769002 (Orissa). Its motto is education, culture and integration. It solicits workers involvement and participation in all its acies, so that their mind is directed towards service to society. 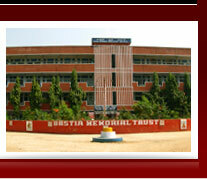 The trust started its work earnestly after its building was opened by the then Governor of Orissa, Sri C.M. Poonacha in 1980 for service to the nation.